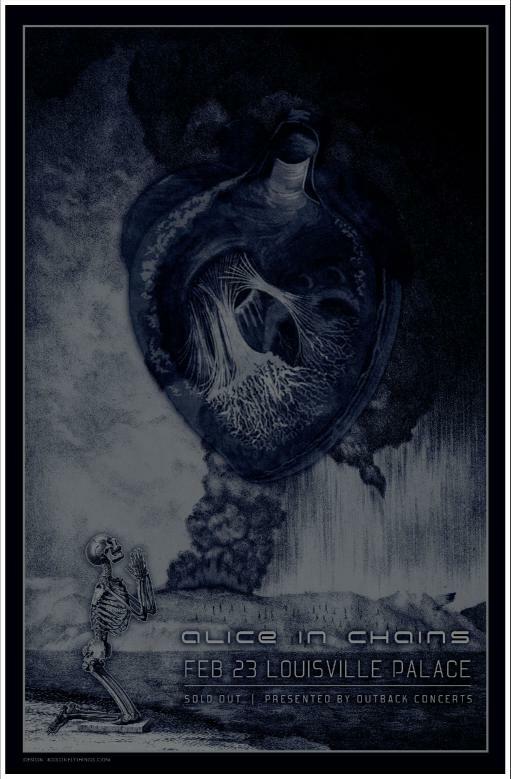 One of the biggest percs of doing work for concert promoters is getting to design stuff for artists I admire, and Alice In Chains is one of those artists. This is a commemorative poster for a sold-out show in Louisville, KY in support of their album Black Gives Way To Blue. 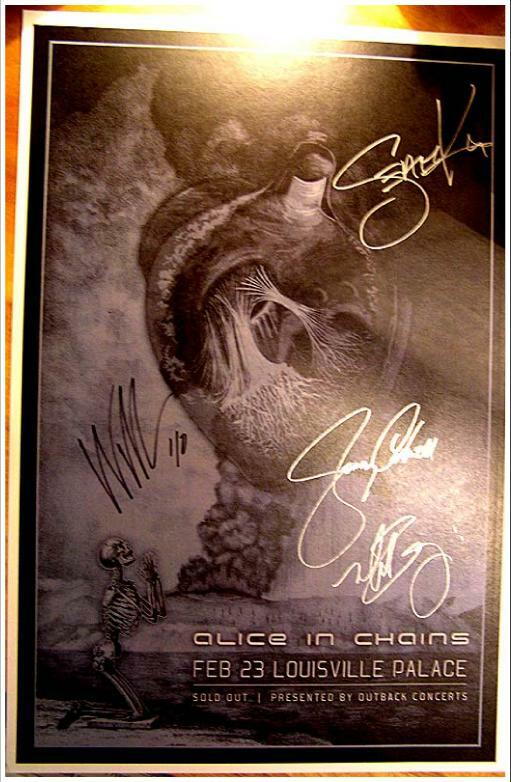 I got a lot of requests for copies of this poster after someone posted a photo of their autographed copy on the Alice In Chains message board. I count myself among the fortunate handful of people with a signed copy of it, that's mine below.